Beat the winter blues and jet off for a weekend in the South of France with these top winter Languedoc city breaks. This lesser known region that wraps itself around the Mediterranean coastline offers enviable cuisine, gorgeous landscapes, and towns and cities that you’ll never want to leave! Montpellier is at the heart of the Languedoc and the region’s capital. It is a completely captivating city with a bustling student population and nearly half of its residents under the age of 30. It has its own airport – served by EasyJet and other airlines – that is just a quick shuttle ride away from the heart of the city. You’ll be pushed to find a more beautiful old town than Montpellier; stone arches, ornate balconies and cafes at every corner. Le Musée Fabre is one of the most visited attractions in the city. Make sure you explore the royal Place de Peyrou and the Antigone district. 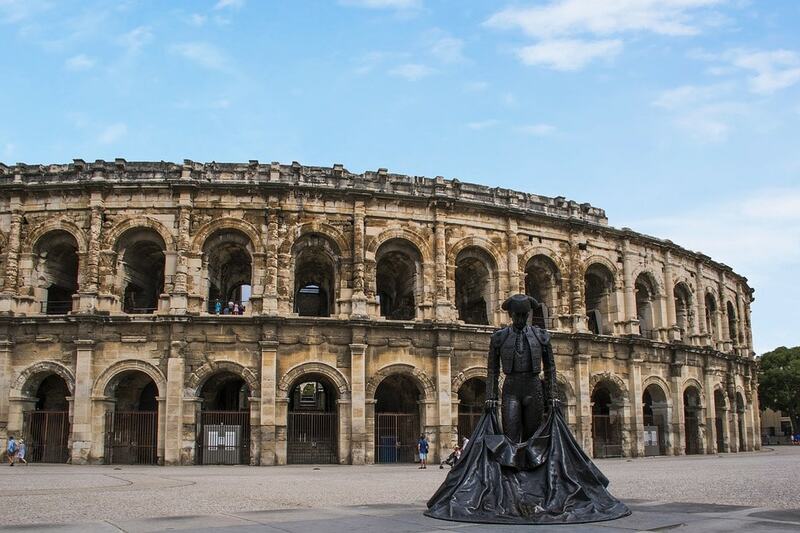 Nîmes lies to the north of the region and is identifiable for its incredible Roman amphitheater. Like Montpellier, travelling here is easy with its own airport and once you reach the city, all the main sights are at a walking distance from each other. If you like, try and schedule your weekend when you can see some live music at the amphitheater – the sound is just amazing! Other sights not to miss are Maison Carrée – a Roman temple with one of the best known preserved façades – and the Norman Foster designed contemporary art museum, Carré d’Art, both situated conveniently in the city centre. The fortified citadel of Carcassonne is a UNESCO World Heritage site and looks like something out of a fairy tale. Winter time can be a great time to visit this beautiful pocket of France with fewer tourists but still with blue skies. Take a look at our museum guide for Carcassonne as well as the best cafes to take a pause and watch the local life go by. Carcassonne airport is very accessible, offering quick shuttles to the city centre. Perpignan is a captivating city. 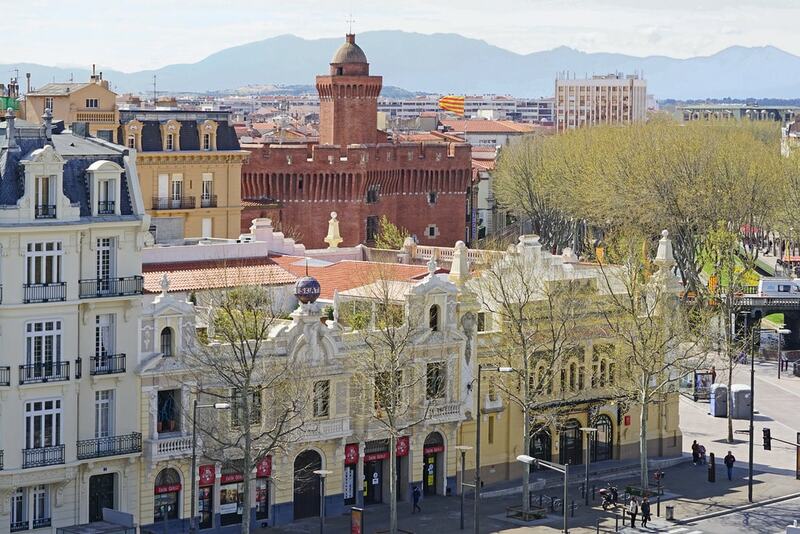 In the heart of Catalan country, Perpignan’s Spanish influence can be seen in its tasty local cuisine, Catalan road signs and different festivals throughout the year. South of the old town is the magnificent 13th century Palace of the Kings of Majorca with gardens overlooking the city. Other than that, for the weekend, simply loose yourself in the streets, sample as much food as you can and take in the ambiance of this city and maybe pop into the Castillet (pictured below) for some Catalan culture and history. Beziers is a small city situated on the banks of the River Orb. It is recognisable from a distance due to its dominating cathedral, which should definitely be on your list of things to see. This is true Languedoc life; slightly off the tourist trail, with a bustling covered market, gorgeous old town and bistros serving local cuisine. If the weather is fine, which it probably will be, wander down to the Canal du Midi and visit the famous 9 Locks. Reach the city from its own airport close by Beziers Cap d’Agde, or Montpellier.